Scroll down to the bottom of the page and fill in your details. Why we deserve to win this award…. Testimonials from our current parents highlight why we should win this award. I feel and I am much more comfortable with them highlighting how good we are and why we deserve to win than saying all of the things that we feel we do well that help us to win this award. 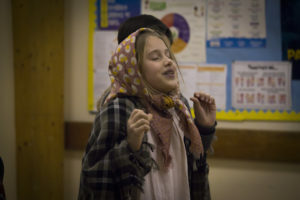 I know that we have a 100% pass rate in all examinations with LAMDA, I know that we care about each individual child’s vocal and dramatic development, I know that we try our very best to help a child to reach their full potential and nurture core life skills to help them in all areas of their life! But what do our parents say? Who are ‘Whats On 4 Little Ones’? If you could vote for Little Voices we would be so thrilled. 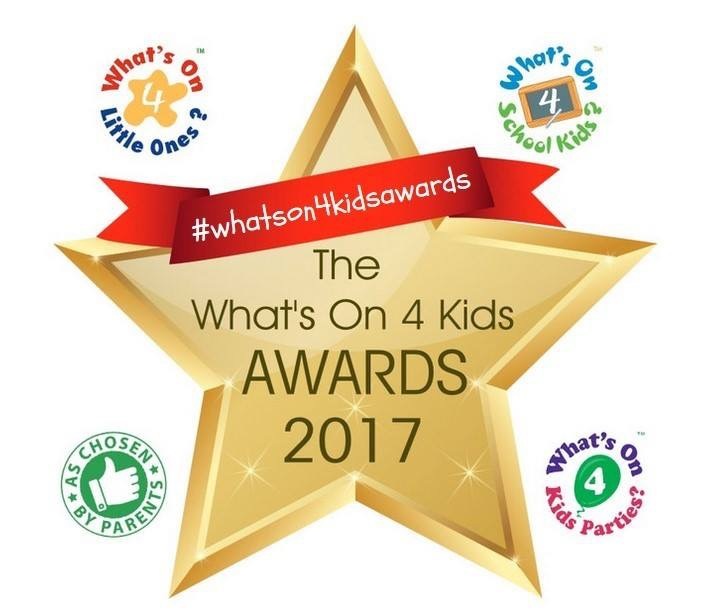 It would be wonderful to spread the word to even more mums and dads about Little Voices and winning this award would help us to do that! 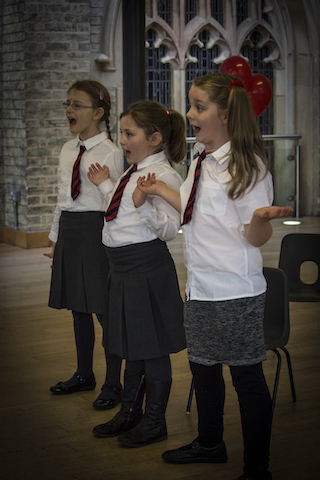 Little Voices was founded in 2007 and there were just 12 pupils in attendance. It was always about the individual child and today the ethos; care and attention remains the same. We pride ourselves on nurturing talent and building confidence in children aged 4, right up to 18 years through excellent vocal and dramatic tuition in very small groups. 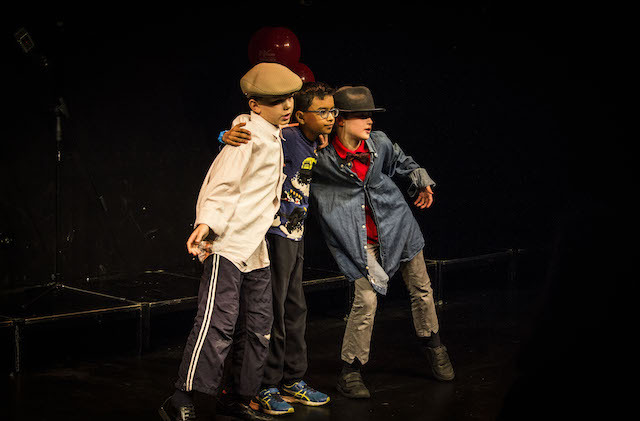 We work towards LAMDA examinations and through this highly-regarded examination board we are able to ensure that children embrace exams with positivity and fun whilst at the same time filling their CV’s from a very young age! At Little Voices children learn that an exam is not something to be feared and we help children and young people to achieve in all areas of their life not just on the stage! Winning an award of this nature would mean so much as it is parents showing their support for what we do and letting other parents know how highly they think of us. Why this award means so much to us…. This award means so much because it is voted for by parents! It is not a panel of experts that decide who is the best, it is parents, teachers and professionals that have experienced Little Voices and have voted for us to be the best. This means more to us than anything else as it highlights that we are doing a good job and it shows other parents that we are a company to trust and that their children will be well taught and well looked after. We turn 10 years old this year and it would mean so much to be able to have this gold star award to our name in this very special anniversary year! Television CAN be a great medium for singers and entertainers, however, with the exception of specifically designed amateur shows or appearances, they should be avoided by beginners to the biz and the faint-hearted! The competition is TOUGH, criticism BLUNT and as with any audition process or talent show – there are no guarantees that you will get through to the next round. Be PREPARED! Make NO mistake – it is VERY rare for the finalists and eventual winner to be a complete amateur!!! Most finalists have had some form of training and/or experience in performing in front of a live audience (not just their friends and family!!) – in some cases the contestant/s have spent a lot of money and years training with professional teachers or have a family connection to the music business! The best advantage you can have at a talent show or competition is to be WELL REHEARSED and CONFIDENT that you can do your best on the day. Although the majority of contestants fade swiftly back into obscurity, a small percentage have been successful like Victoria Wood, Lenny Henry, ShowWaddyWaddy, Lena Zaveroni, Freddie Star, Leona Lewis…….. some of whom had been doing the club, cabaret and/or talent show circuit for a while before appearing on a TV Talent Show. If you are a talented unsigned artist who is thick skinned, knows the score and are prepared to give it your best shot then this is a good opportunity to be seen and discovered. What we see on the television as the audition process is not the reality! No one sees the famous judges first….. the process is time consuming and involves hours of queuing and waiting time!! You have to remember that the role of the TV show is to create a programme that is interesting to watch and will attract millions of viewers. Appearances can be deceptive so if your child or indeed someone you know is looking to audition be prepared……..
As promised here are a few of ‘cons’ as discussed by The Vocalist regarding TV Talent shows! Queues – Television auditions are popular and you can expect to wait several hours or even all day before getting through the doors, let alone being seen! Contestants – May be eliminated on looks whilst waiting in line – all that time waiting and no opportunity to audition! Audition – Contestants are usually screened by the shows producer, a representative from the management company or other personnel and may NOT be called back for an audition with the celebrity judges (who you may not see at all until the night of the show). Cameras – The advent of ‘Reality TV’ means that the contestant must be prepared to be filmed during the whole process. Performance – Be prepared for criticism! Celebrity judges like New Faces Tony Hatch, Pop Idol’s Simon Cowell and Pete Waterman held no punches when it came to their opinion of the artists performance. Contracts – Contestants must sign a contract with the show which may tie them into a label or management company that has little or no interest in promoting them and may include terms which are detrimental to the performer i.e., minimum royalties, low or non existent performance fees and deductions from earnings even when no longer with the company. It is better to be prepared than not……..
On the topic of TV TALENT SHOWS! It is good to be pragmatic – being sensible, realistic and practical will ensure that you embrace the opportunity and learn from the experience rather than being sorely disappointed and deflated in my opion it is very often the most talented individuals that do not make the finals ! The last thing that we would want at Little Voices would be for your confidence to be affected. Each program audition varies depending on the shows requirements and programming schedule. Auditions are often held in a small room where you may be required to sing one song only – without accompaniment in front of one or more people. You may be interviewed and/or filmed separately and required to complete a contract providing permission for any and all clips to be used without payment or re-use royalties, plus agree not to discuss any aspect of the program without permission in the event your audition is successful. No-one can anticipate what the programmers, judges or viewing public really want – if you don’t get through – be philosophical about it – after all, it’s only a competition – there will probably be another show in yet another format next year!